Milltek Sport Exhausts have a genuine performance edge noticable power gains, sounds that are truly awesome, styled looks that are aggressive but discrete and a feeling of true exhilaration. Milltek Sport Exhausts are offered in a number of configurations, which are based of performance, luxury and market demand. 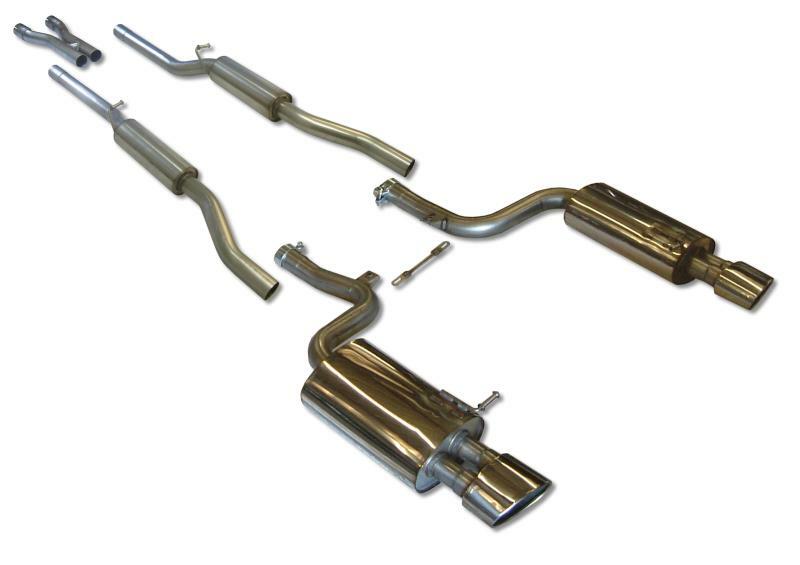 Milltek Sport offers everything from Downpipe-Back Full Exhausts Systems to Rear Mufflers Only and everything in between. Product was as described, shipping was fast, and communication was excellent. Plus I saved $$. Thanks Autoplicity! I'll be a repeat buyer and referral source. After seeing that Autoplicity was in good standing with the BBB and had favourable reviews reported elsewhere I placed an order on a Sunday evening. On Monday morning I already had a confirmation email and order number. On Tuesday I was notified that my order had shipped. Their price of $477 on the part I ordered was about $30 cheaper than Summit Racing, who I usually do business with, and the cost of shipping and handling was only a few dollars more. I haven't recieved the part yet but have no reason to think I won't be totally satisfied with the transaction.